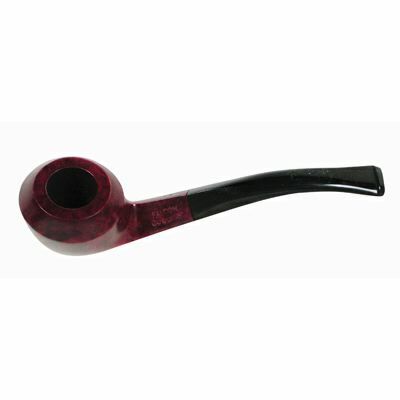 An economy range of quality Falcon UK briar pipes without interchangeable parts. 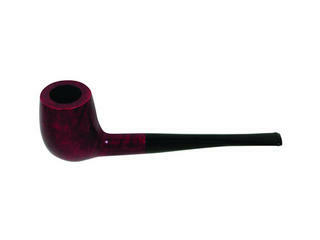 Red stained billiard bowl and straight stem with straight, smooth tapered, acrylic mouthpiece. Red stained Grange bowl and straight stem with straight, stepped, black acrylic mouthpiece. 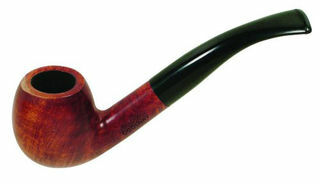 Walnut stained Grange bowl and straight stem with black, straight, smooth-tapered acrylic mouthpiece. 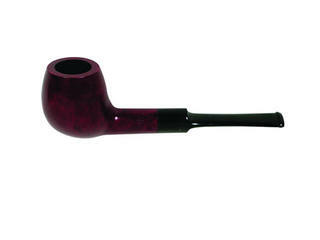 Red stained Apple bowl and straight stem with straight, stepped, black acrylic mouthpiece. 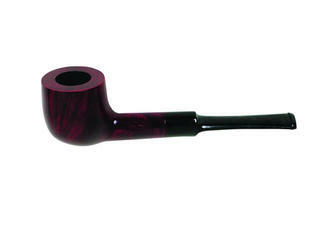 Walnut stained Apple bowl and straight stem with black, straight, smooth-tapered acrylic mouthpiece. 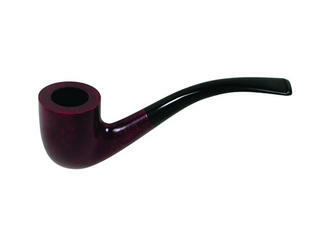 Red stained Fancy bowl and bent stem with black, bent, smooth-tapered acrylic mouthpiece. 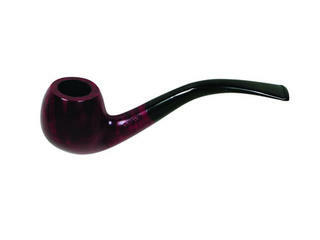 Red stained Apple bowl and bent stem with bent, smooth-tapered, black acrylic mouthpiece. 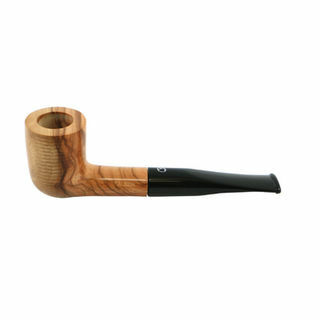 Walnut stained Apple bowl and bent stem with bent, smooth-tapered, black acrylic mouthpiece. 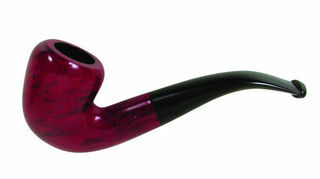 Red stained Gretna bowl and bent stem with smooth-tapered, bent, black acrylic mouthpiece. 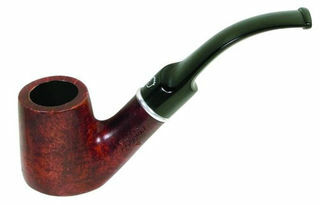 Walnut stained Gretna bowl and bent stem with bent, smooth-tapered, black acrylic mouthpiece. 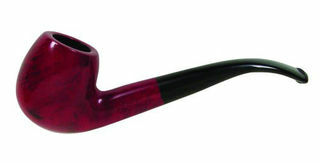 Red stained Rhodesian bowl and stem with bent, smooth-tapered, black acrylic mouthpiece. 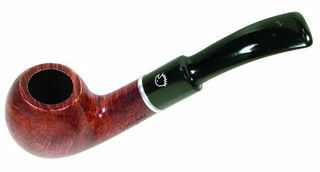 Walnut stained Rhodesian bowl and bent stem with bent, stepped, black acrylic mouthpiece. Walnut stained bowl and straight stem with straight, stepped, black acrylic mouthpiece. Optionally uses 9mm Falcon pipe filters. Walnut stained bowl and bent stem with bent, stepped, black acrylic mouthpiece. 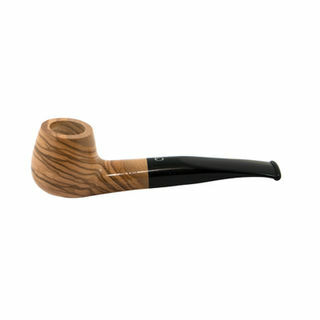 English quality olive wood pipe from Falcon UK. Clear stained apple bowl and straight stem with curved, smooth tapered, black acrylic mouthpiece. Optionally uses 6mm or 9mm Falcon pipe filters. Clear stained dublin bowl and straight stem with straight, smooth tapered, black acrylic mouthpiece.